Sugar-white sand, gorgeous sunsets, and four unique, award-winning venues. Welcome to our little piece of paradise. Choosing a venue is only the beginning. Wow your guests with top-quality, full-service catering that includes farm-to-fork greens, fresh catch seafood, and local and regional specialties. Relax as our venue coordinators help you get every detail right. Trust our unbeatable service to deliver a stress-free experience on your big day. Our packages make planning your beach wedding a breeze. 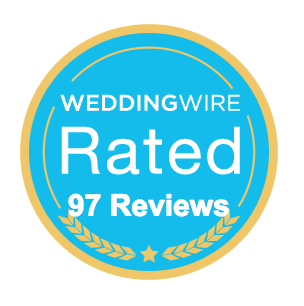 Intimate affair for just the two of you or epic beachfront celebration with family and friends, or anywhere in between, our venue coordinators have created packages that include everything you need for the wedding of your dreams. Your event is unique. So are our venues. Whether you're planning your toes-in-the-sand wedding ceremony, a family reunion, or a company event unlike any other, we've got the perfect venue for you. Plan the corporate event your team will talk about all year long! Our venues boast waterfront views, delicious menu options, exclusive services and everything you need for a memorable beachside event.